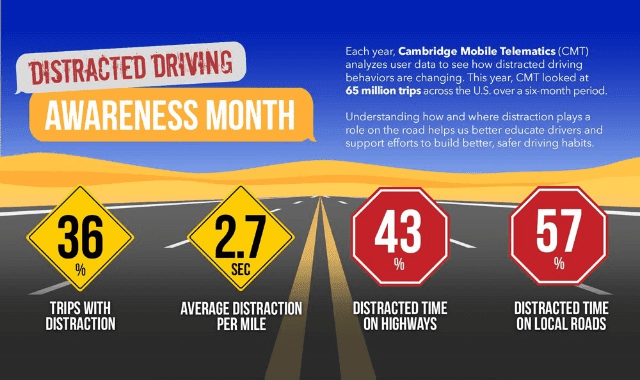 Distracted Driving: Awareness Month #Infographic ~ Visualistan '+g+"
Each year, Cambridge Mobile Telematics analyzes user data to see how distracted driving behaviors are changing. This year, CMT looked at 65 million trips across the U.S. over a six month period. Understanding how and where distraction plays a role on the road helps us better educate drivers and support efforts to build better, safer driving habits.